I really love light, fluffy American pancakes as a breakfast treat. Ever since I first had them as child with lashings of butter and maple syrup- delicious. These of course are not all that healthy! I have been playing around with 'Magic Pancakes' for a long time, where they are made with eggs, oats and yogurt. 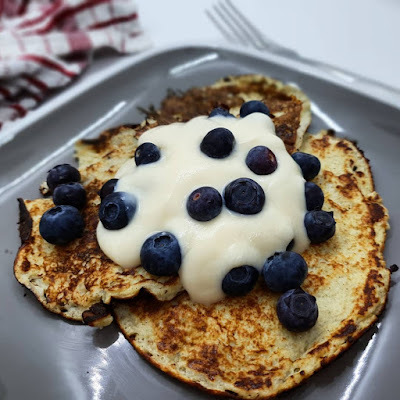 This new recipe I made with ground oats, and I separated the eggs and whisked the which, which makes these pancakes extra fluffy and tasty. You can play around with the toppings as well, adding different fruits and yogurt toppings. 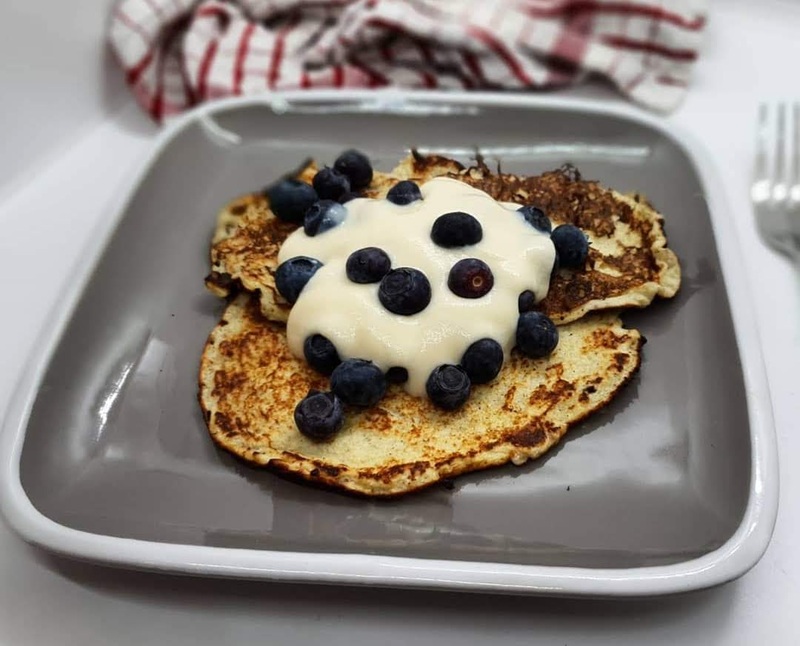 I served mine with loads of blueberries and vanilla fat free yogurt. Thinking of trying out these recipes? If you do, I would love to see a picture of your creation! 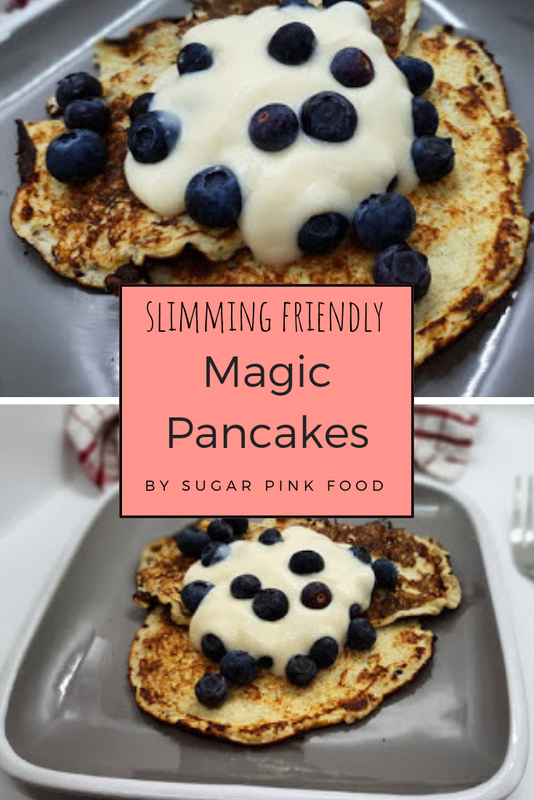 @SugarPinkFood on Twitter, @sugarpinkfood_sw on instagram or Sugar Pink Food: Slimming World Recipes on Facebook! Did you know that I have a weight loss support group on Facebook!? It's a place to share meal ideas, meal plans, food pictures, success stories, and generally support each other on our weight loss journeys! What do you think of this recipe? Let me know in the comments below! All syn calculations are my own, and are for guidance only. I am not affiliated with Slimming World in any way. These are meals and recipes that I have followed myself. This website is unofficial and in no way part of or representative of Slimming World. You should check with Slimming world for the most up to date Syn values using official resources such as the Syns calculator, Syns Online on LifelineOnline or by calling the Syns Hotline on (0906) 851 8518. Separate the egg whites from the yolks, and put in separate bowls. Whist up the egg whites until light, fluffy and able to peak. 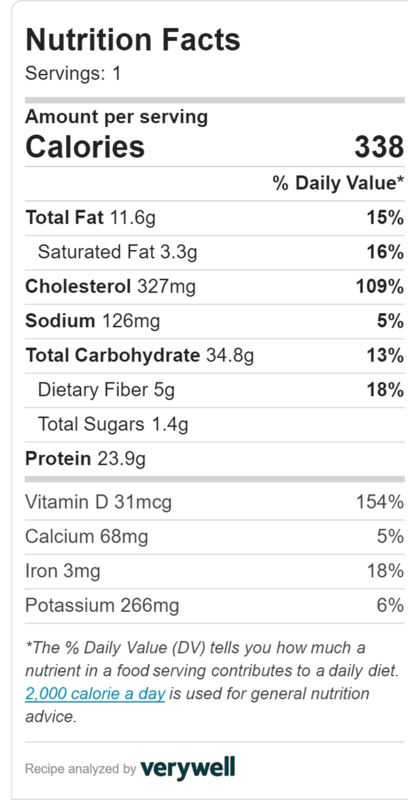 Blend the oats up in a blender until smooth and fine. Mix the egg yolks, yogurt, sweetener and vanilla extract. Fold in the egg whites and stir to form the pancake batter. Heat a frying pan and spray with frylight, add a dollop of mixture to the middle of the pan. Cook for 2 mins, then use a spatula to flip the pancake over. Repeat until the mixture has gone. Add your topping of choice. Syn calculations are all carried by me and I am not a consultant or affiliated with Slimming World. It is always recommended to check syn values yourself. All images and content on Sugar Pink Food is copyright protected. My name is Latoyah and I am passionate about creating healthy, easy, delicious meals. I have been sharing my recipes for 4 years and gained a host of award nominations and recognition. I am a current finalist in the UK Blog Awards. I've lost 5 stone in total since I started this blog, and love to share the recipes that helped me along the way. I am still going on my weight loss journey, and hope to continue to lose more!